Must be prepared to get wet, with suitable clothing to slip and slide, e.g. Boardies and t-shirt, MUST BE free of ZIPPERS, buttons and sharp surfaces. 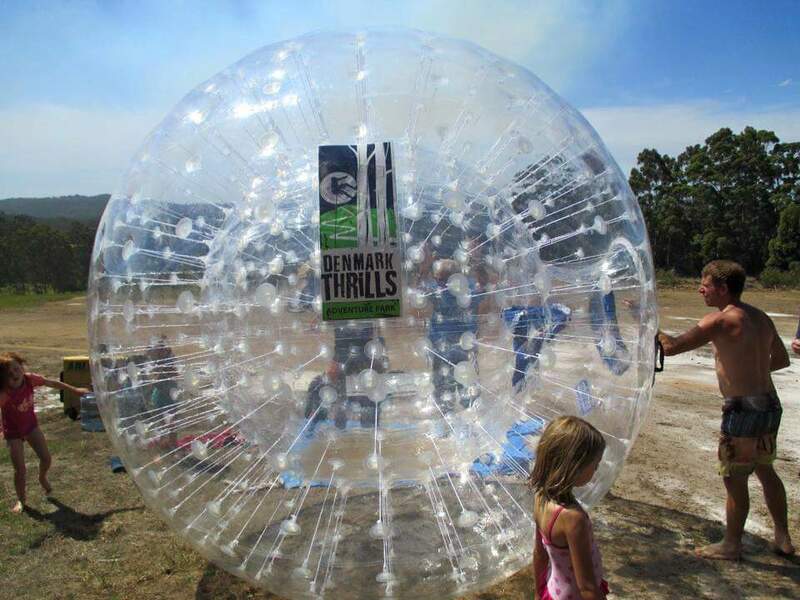 Get inside a 3m diameter Hydro-Orb ball with 40L of water and we will launch you down the mountain, on our purpose built 600m track with 5 corners, this ride is only suitable for ages 13+ and is sure to thrill. This experience feels like a wild water slide inside a ball!